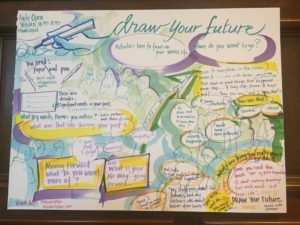 Agile Maine Day Keynote – Maine. April 23-25. GOTO Chicago – Dynamic Reteaming. Chicago. April 29-30. Lean Construction Institute. Leadership Starts with Listening. Montreal. May 1-2. Craft Conf Workshop – Leadership Starts with Listening. Budapest, Hungary. May 7-10, 2019. Control the Room – Austin Facilitator Summit – Leadership Starts with Listening- May 29, 2019.
qCon NY Track Host – Hack Your Org – June 24-26, 2019. Agile Prague talk – Dynamic Reteaming. Sept 16-17, 2019. Agile DSM Des Moines Iowa – Oct 18, 2019. Liberating Structures Global Gathering – Seattle. Using LS in large organizations. March 13-15. Lean Kanban Days Keynote – London. March 18-19. Lean/Agile US Keynote- Florida. Feb 25-27. Keynote – Agile Spain – CAS. Alicante, Spain. Dec 13-14, 2018. Webinar on Dynamic Reteaming with CAS – Conferencia Agile Spain. Dec 6, 2018. Dynamic Reteaming Talk. Agile New England. Boston, MA. Nov 1, 2018. Groundbreak Conference. Procore Technologies. Austin, TX. Nov 13-15. Break out of Meeting Stagnation with Liberating Structures at Agile Perth Meetup 530pm – Bankwest, Sept 3, 2018. 1-day workshop: Dynamic Reteaming. Yow! Perth, 9am – 5pm, Bankwest, Sept 4, 2018. Dynamic Reteaming at Fast-Growing Companies talk. Yow! Perth, 2:25-3:15, Sept 5, 2018. 1-day workshop: A Practical Introduction to Coaching Conversations. Yow! Singapore, 9am – 5pm, Cliftons, Sept 10, 2018. Dynamic Reteaming at Fast-Growing Companies talk. Yow! Singapore, 11:30 – 12:25, Sept 8, 2018. 1-day workshop: A Practical Introduction to Coaching Conversations. Yow! Hong Kong, 9am – 5pm, Sept 13, 2018. 1-day workshop: Dynamic Reteaming. Yow! Hong Kong, 9am – 5pm, Sept 14, 2018. Dynamic Reteaming at Fast-Growing Companies talk. Yow! Hong Kong, 11:30am Sept 15, 2018. Keynote: Dynamic Reteaming at Fast-Growing Companies, Agile Cambridge. Sept 26-28, 2018. Video. Keynote: Dynamic Reteaming at Fast-Growing Companies, Lean Agile Scotland. Oct 3-5, 2018. Video. 1-day workshop: Dynamic Reteaming. QCon NY 2018. New York, June 25, 2018. 1/2 day workshop: Coaching the Team System QCon NY 2018. New York, June 26, 2018. 1/2 day workshop: A Practical Introduction to Coaching Conversations. O’Reilly OSCON, Portland, OR. July 16, 2018. Seminar: Dynamic Reteaming at Fast-Growing Companies World Wide Technologies, Asynchrony Labs. St. Louis, Missouri. 6-8pm, May 30, 2018. Slides. Webinar for the Agile Alliance: Dynamic Reteaming, March 22, 8am pacific. View the recorded webinar. Mitosis: Team Change Patterns & Strategies at Fast-Growing Companies Lean Agile US. Fort Lauderdale, Florida. Feb 26-27, 2018. High Performance via Psychological Safety with Joshua Kerievsky. Lean Agile US. Fort Lauderdale, Florida. Feb 26-27. Dynamic Reteaming: The Art & Wisdom of Changing teams, Yow! Conference Australia, Nov 30 – Dec 1, 2017. Melbourne, Brisbane, Sydney. Video. Here is a joint podcast with Shane Hastie of InfoQ that I did with Joshua Kerievsky on High Performance via Psychological Safety released Sept 18, 2017. Leadership Starts with Listening. Women in Tech Silicon Valley, Aug 24, 2017. slides. Dynamic Reteaming: The Art & Wisdom of Changing Teams, Agile World, June 26-27, 2017, Munich, Germany. Dynamic Reteaming: The Art & Wisdom of Changing Teams, Agile 2017, Aug 7-11, 2017, Orlando, Fl. slides. High Performance Via Psychological Safety, with Joshua Kerievsky, Agile 2017, Aug 7-11, 2017, Orlando, Fl. Dynamic Reteaming talk at Bay Area ALN Meetup, Tues May 16, San Francisco, Capital One. Dynamic Reteaming: The Art & Wisdom of Changing Teams Scrum Alliance Global Gathering, April 10, 2017, San Diego, CA Here are the slides. Agile India – March 7 2017, ITC Gardenia, Bengaluru Here are the slides. Video. Nov 16, 2016: Reykjavik, Iceland Go Digital 2016 I gave a talk on Dynamic Reteaming. Here are annotated slides! And here is a video of the talk. Nov 9, 2016: Berlin, Germany. Coaching workshop for a private client. July 25, 2016: Dynamic Reteaming Case Study. June 22, 2016, Tel Aviv, Israel: Agile Israel Talk: Dynamic Reteaming: How We Thrive By Rebuilding Teams. Who says you need stable teams in order to build a successful software company? We’ve thrived through dynamic reteaming – the act of moving team members around teams in different ways. While the addition or removal of one person from a team means you have a “new team”, there is a myth that when your team compositions change you’re doing it wrong. Reteaming helps improve your organization, your code and most importantly your people. For the past 9 years, from startup to public company, reteaming has been critical to our success. Reteaming has propelled our engineers’ learning. In this experience report, I share the what, why and how about reteaming. June 17, 2016: San Diego, CA: Scrum Day San Diego Workshop: Improve your Communication with Coaching Skills If you know and care about the people you work with, everything else is easier. So how can you get to know other people better? How do you show you care? In this interactive session you will experience and practice skills such as listening and asking open-ended, powerful questions to really draw out the other person. Doing that raises positivity, and can help you to build stronger relationships in all aspects of your life. Here are the slides. May 2016: Ypsilanti, MI: Agile And Beyond talk on Dynamic Re-Teaming: How We Build and Rebuild Teams. Abstract: Who says you need stable teams in order to build a successful software company? We’ve thrived with dynamically changing feature teams for the past 8 years from startup to public company. During this time, we’ve come up with several strategies to help individuals and teams gel and get up to speed as fast as possible. In this talk we’ll share the specifics, which relate to teambuilding, onboarding and continuous learning/reflection. 2015: Agile at AppFolio, Stories from the Past 8 Years. Video of talk, SB Agile meetup, Oct 2015. 2015: 8 Years Agile – From Startup ScrumMaster to Agile Coaching Group at a Company of 500, Experience report, Agile Alliance 2015 Convention, Washington DC. 2014: People Managers – Transform your one-on-one meetings with coaching techniques, Heidi Helfand (AppFolio, Inc.) Poster Session at the Grace Hopper Convention for Women in Computing. 2000: Shetzer, H. & Warschauer, M. (2000) An Electronic Literacy Approach to Network-Based Language Teaching, in Warschauer & R. Kern (Eds.) 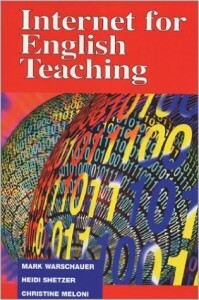 Network-Based Language Teaching: Concepts and practice (pp. 171-185). New York: Cambridge University Press. 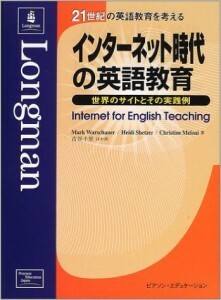 2000: Internet for English Teaching, Mark Warschauer, Heidi Shetzer, Christine Meloni.